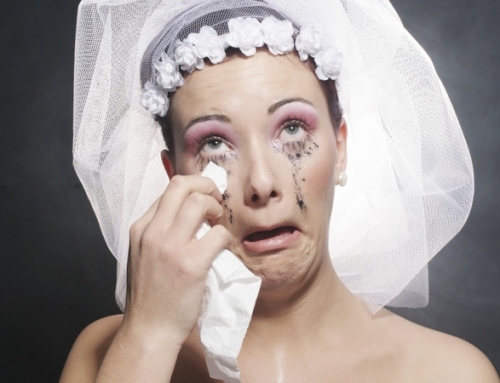 Getting married can be a stressful and huge event to arrange. 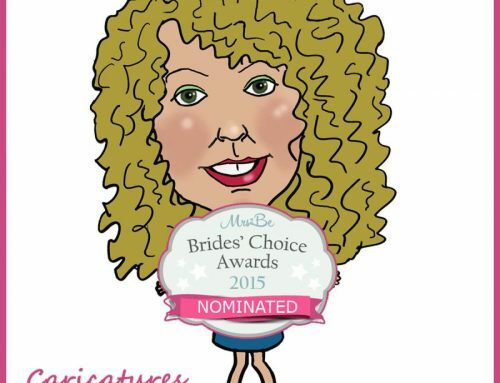 There are so many details to organise; from the venue to the church, the dresses and the suits, the band and the reception, the photographer and the cake …. the list goes on! One detail that is often left to the last minute is a Thank You gift for the wedding party or special family members and friends. 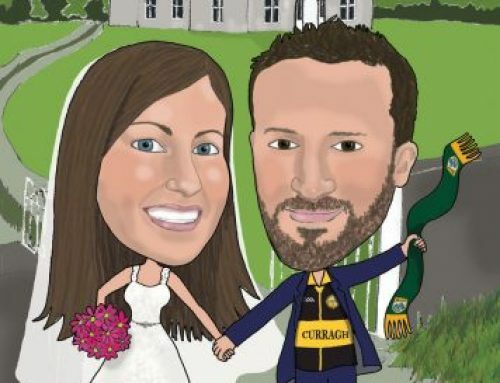 Last year, one couple decided to get a special personalised gift for their best man and groomsmen. The groom has four brothers and they decided to give each of the brothers a special mounted caricature of the five brothers together. 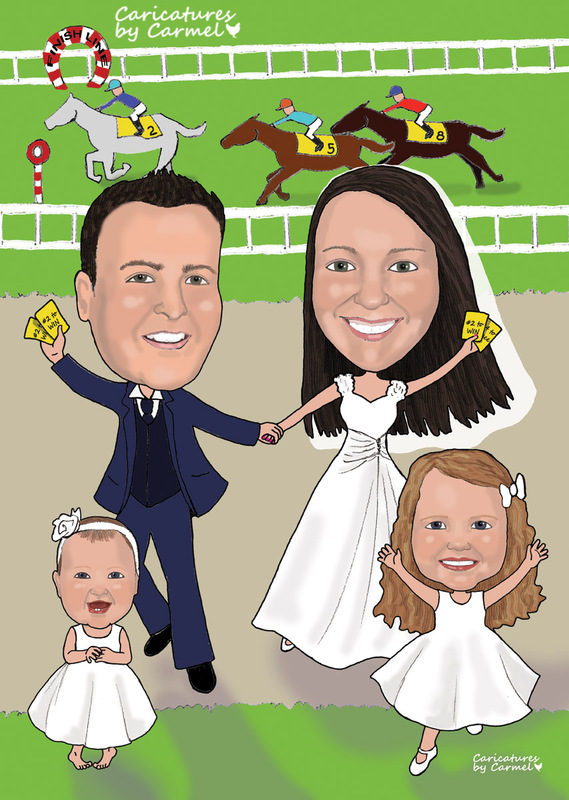 Caricature of bride & groom at the races with winning tickets! For the grooms brothers, I was told a little bit about each one. One brother is always on his laptop and another is attached to his iPhone. One brother loves playing golf, another is a cyclist while the groom loves the horses. 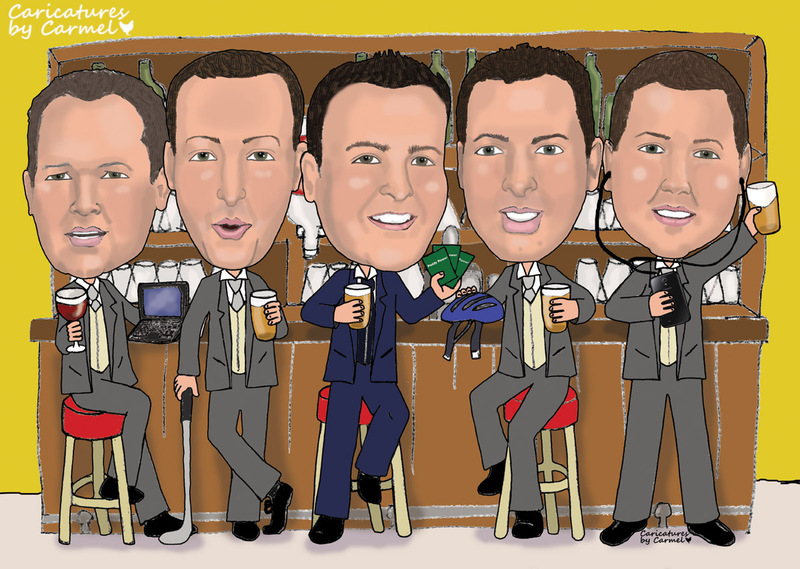 I created a fun caricature of each brother at the bar having a drink and wearing their wedding suits. The first brother has his laptop on the bar, the next brother with a golf club, the groom holding Paddy Power betting slips, the next brother with his cycling helmet and the youngest brother listening to music on his phone.